1. Visit the Chinese Visa Application Service Center’s website, and select The Netherlands in order to arrive at the The Hague Center’s homepage. 3.Enter ‘ Quick Access’, select ‘Online Application Form’ to fill in application form online. This step will require you to upload a recent standard passport photo with white background (please check here for passport photo requirements). 4.After filling in the application form, please print out the complete form, sign on the confirmation page and page 8. 5.Enter ‘Online Appointment’ , fill in the application form number starting with ‘HAG’. Choose a time slot and finish the appointment booking. The system will automatically send you a confirmation email. Please print the confirmation email out or screenshot the appointment time information and show your appointment while you arrive at the visa application center. 6. 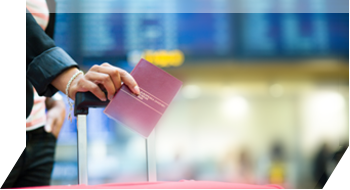 Applicant holding a service or diplomatic passport should fill in the online application form through the visa center’s website, print out and sign. But instead of making an appointment with the visa application center the applicant is required to apply at the Chinese Embassy. 1, From 10th of April till 10th of May is the transition period. From 10th May 2019 onward, the old version of application form is no longer accepted. 2, A passport photo of the applicant must be uploaded while filling in the online application form. If the photo uploaded is invalid, the application will be rejected. The applicant will be required to refill the online application form and resubmit with a valid photo. 3, All the information provided in the application form must be real and correct, otherwise will result in rejection. 4, Application can only be accepted during appointment time.